The perfect replacement for any Airline Crewmember who currently keeps a 'shirt pocket' flight log. It was designed as a supplement to (not replacement for) your complete Flight Data archive. 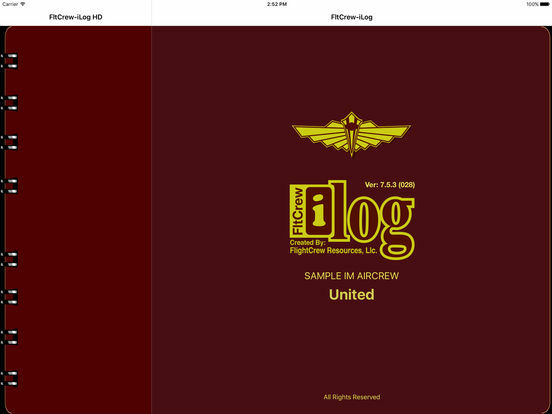 FltCrew-iLog is a handy method to enter & access your flight data. Just as you do now, enter your flight data by entering Trips (which contain Flights, Crew Names, Expenses, and Trip Comments, etc.). 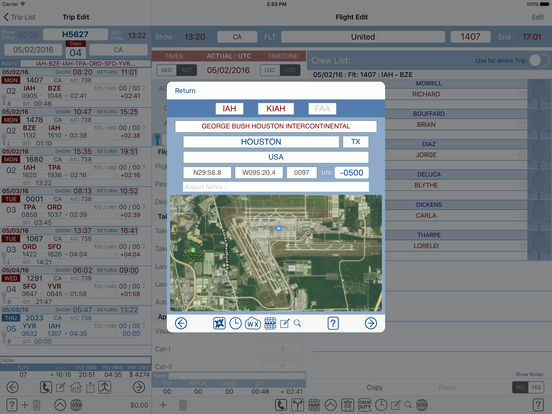 Then, using the built in search functions, you can quickly find when you flew to a city, in an aircraft or with a crewmember. Flight data is entered starting on the Trip Page. You enter Trips which contain your Flights, Expenses, and Remarks. 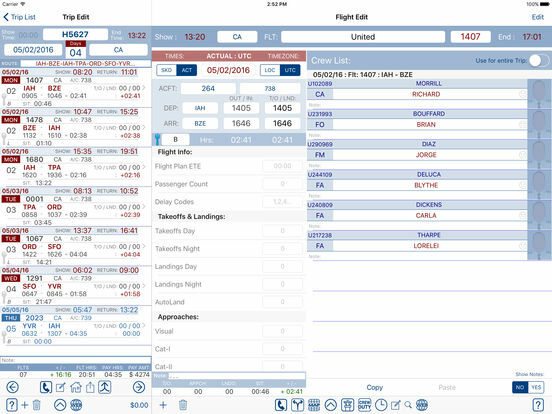 Then you add Flights which contain Times, Aircraft, Landings, Crew Lists, etc. • FAR-117 Calculations for flights. 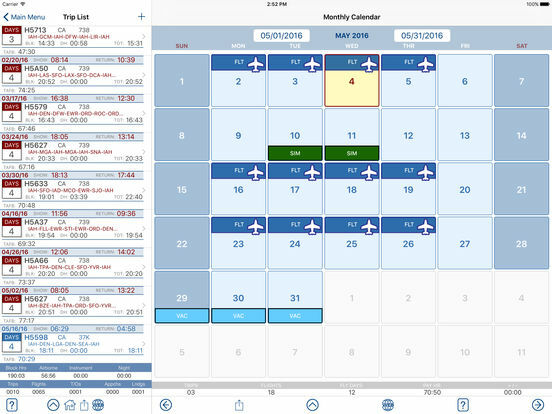 You can view (and select) your Trips right on a Monthly Calendar. How much Flight Time did I log last year? What was my B767 CA time the last 6 months? any airport in Paris, or... any airport in France? What is the Airport Name for code 'EGBB/BHX"? Show me all my trips to Germany last year. When did I last enter a remark about diverting for fuel? Contains a Database of over 4,000 Airports!... With more coming. or... any airport in France for that matter? Enter/search for your Remarks about any airport. View a TAF/METAR for the displayed Airport (online only). Display FAA Airport Diagram (US Airports only). Display an Airport Area Map. You can Request additional commercial Airports be added to the database. Enter/search for Trip Related Expenses (with editable categories). What were my Deductible Trip Expenses last year? How much did I spend on Uniform Purchases so far this year? 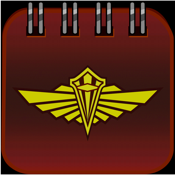 A Master Crewmember List displays all crew members entered in your trips. Perform Crew Searches ... When did I fly with Bill Smith? You can also enter and Search for crewmember comments! • You can Back-up your Flight data to our web server. • Export Flight Data as Comma Separated Values (CSV) (via email). • Export a Trips and/or individual Flights to iCal. • Send us your feedback right from within the App, or from our web site. Be sure to check out the additional information available on our web site via the links below!